Canada’s bank notes are supported by a number of accessibility features designed to help people who are blind or partially sighted recognize all five denominations with confidence. The $10 bank note featuring the portrait of Viola Desmond is Canada’s first vertically oriented note, thus Canadians who are partially sighted and who use the large numerals will need to orient this note vertically to view the denomination at the correct angle. 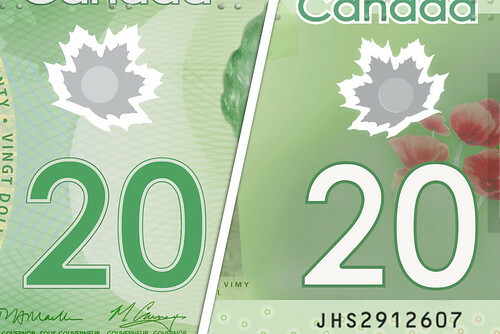 The colour contrast of the large numerals has been optimized on this note. It is light on a dark background on the front of the note and dark on a light background on the back. This is the opposite pairing that appears on the current Frontiers series polymer notes. The distinct colour of the note continues to be purple and the tactile feature is in the same position relative to the large window on the front of the note. These elements are not security features and should not be used to verify that bank notes are genuine. The tactile feature consists of symbols of six raised dots (two columns of three) separated by a smooth surface. This system is not Braille. It was developed in consultation with Canadians who are blind or partially sighted after research indicated that not all users read Braille. Large high-contrast numerals identifying the note's denomination appear on both sides of each note. A dark numeral on a pale background appears on the front of Frontiers series polymer notes, and a white numeral against a dark background appears on the back. The bank note reader identifies denominations through machine readable codes. 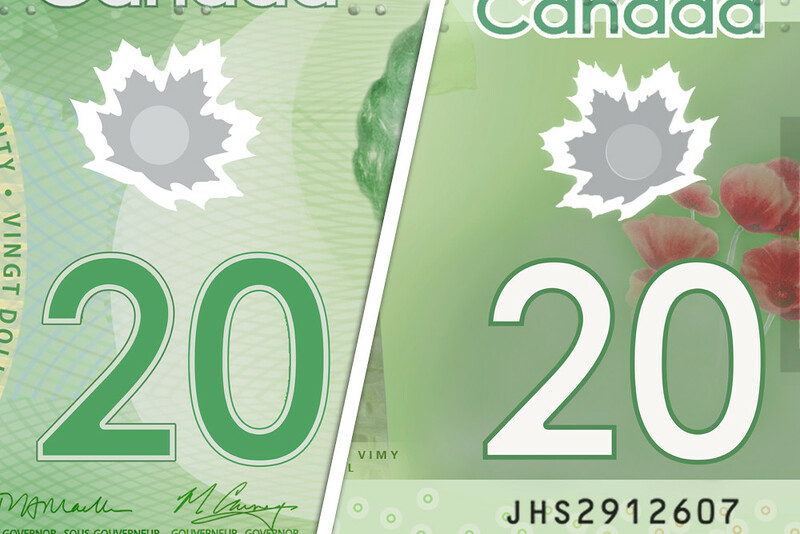 Polymer notes can be read from both short edges of the note, while Canadian Journey paper notes can be read only on the left edge (when the side with the large portrait is facing up). Note: As technology continues to evolve, the Bank has determined that there are more modern devices that can be used to denominate notes. As such, the bank note reader program has been phased out, and readers will not be compatible with the next generation of vertical bank notes. For those who use a smartphone or tablet, there are several applications that can be used. The Bank has evaluated apps currently on the market, and both Seeing AI and NantMobile Money Reader quickly and reliably denominate Canadian bank notes. 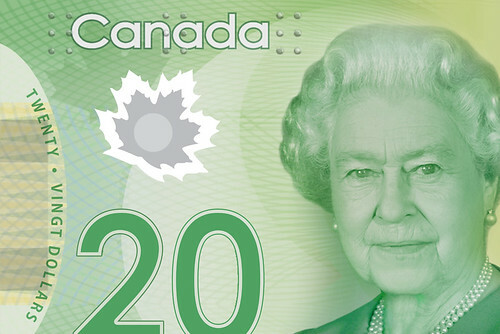 The Canada 150 commemorative $10 note issued in June 2017, and the $20 note issued in September 2015 to honour the historic reign of Queen Elizabeth II have the same suite of accessibility features as all other Frontiers series polymer notes. 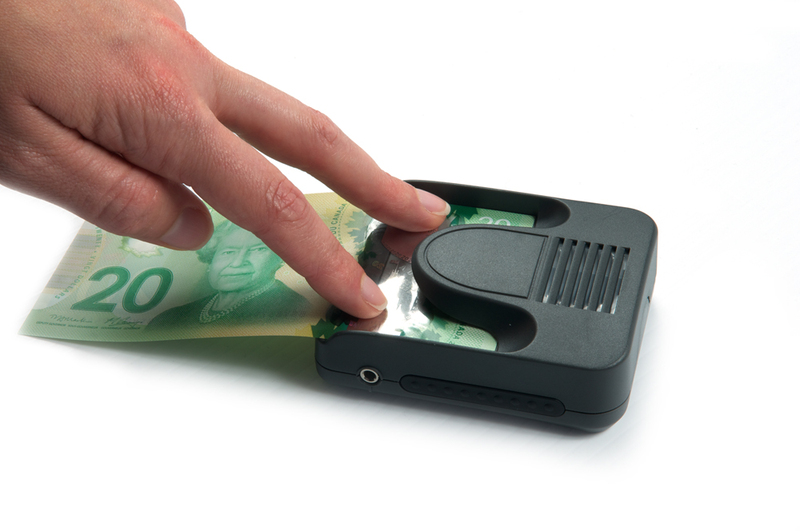 Learn how to identify Canada's accessible polymer bank notes, discover the Canadian bank note reader and get tips for storing Canada's paper bank notes for easy identification. These videos were produced jointly by CNIB Foundation and the Bank of Canada. The following materials explain how Canadians who are blind or partially sighted can determine the denominations of bank notes. You can also call our toll-free line to hear a recording at 1.800.303.1282. Offers a wide range of programs and services to Canadians who are blind or partially sighted.